Admit it! Shopping for new clothes to upgrade your wardrobe and keeping it fresh can be little expensive. For instance, you go shopping, see an item and think it’s just what I was looking. Suddenly, the price tag catches your eye, and all the fantasy of looking amazing is ruined in only a fraction of seconds. At that very moment, not buying is the smartest decision. Never go into debt to buy something that you want right now. Here we’ve come up with a few ways to look good for less. Here’s the deal! Whenever you go into a store, always check out the B-line where you can get most of the time what you exactly want. All you need to be, a good scanner that’s it. Quite often, you are going to get the vast discounts like 50-70% off of the normal retail price. So just take advantage of this and grab the clothes that you love the most. Nobody is asking you to give up your favorite brand. It’s just that, try visiting the outlet stores instead of retail stores. When you head on to the outlet, you are going to get deeper discounts as compared to the retail store. For Example, if you are going to buy polo, it’s going to be quite pricey if you buy it from the mall. Ironically, the same thing can be purchased at an amazingly reasonable price if you visit the outlet store. In case you are wondering, the outlet stores may sell you the last year’s stock. Doesn’t matter at all since you are getting the original brand — in excellent condition and at an affordable price. What say! Don’t be unfair to yourself by just neglecting the daily deal sites on the web. These websites have got flash sales, where you get great discounts on brand name stuff, and you may even find some un-brand name stuff. If you like to be a little bit creative and step outside of the box is a great way to go and save some cash. If you have ever happened to be a part of some website’s loyalty program, you’ll be having enough idea about how much benefits one can enjoy. So just sign up for your favorite stores’ mailing list. Go to the website or favorite store and sign up. And then they will be sending you emails and deals like 20% OFF, 30% OFF or maybe some MEGA DEAL 65% OFF, Buy One Get Two Free and so on and so forth. 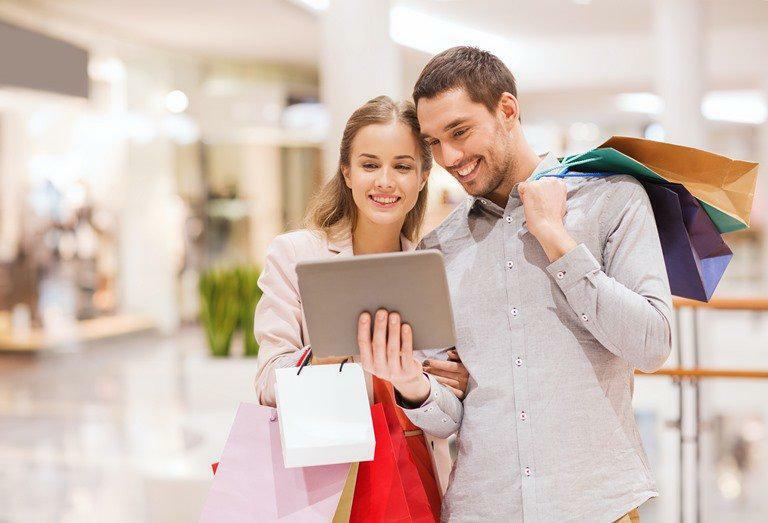 Whenever you head to the Biggest Shopping Malls to buy the brands you are obsessed with, try implementing these tips to shop smart and save money. If you can get the excellent quality product at less price, so why not. Just go for it.